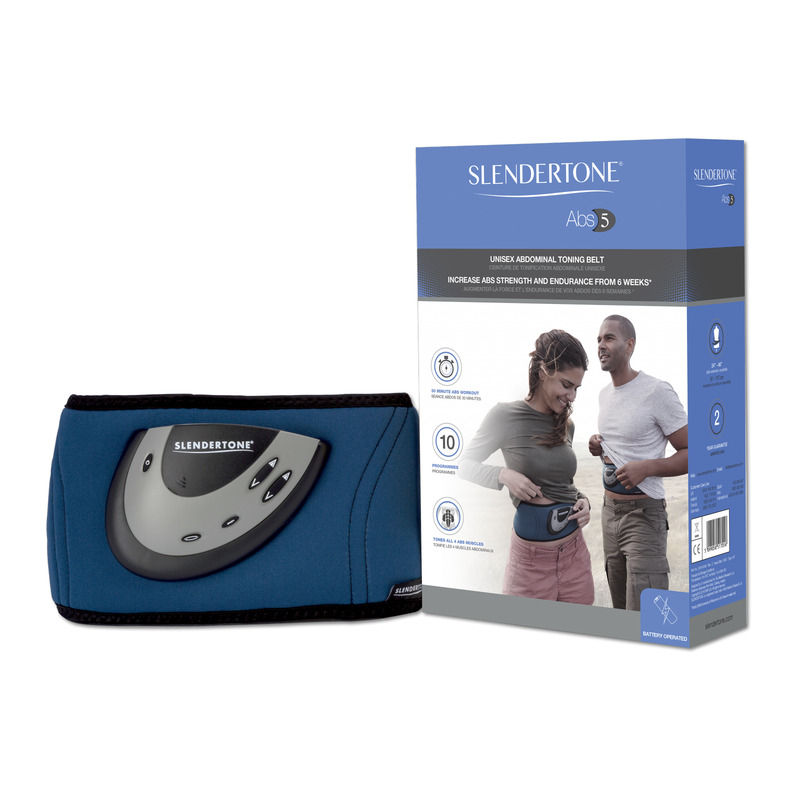 The control unit of the electro stimulation device Slendertone Abs abdominal belt can also used with other Slendertone muscle stimulators like the EMS-Armtrainer. Just 20 minutes workout with the Slendertone Abs abdominal belt are as effective as 120 crunches. Within just 4 weeks, the Slendertone Abs abdominal belt provides distinctively tigter and stronger abdominal muscles. The Slendertone Abs abdominal belt offers men and women an optimized abdominal muscle workout, because the belt is available in two versions. The Slendertone Abs abdominal belt offers distinctively recognizable training progress within just four weeks. The Slendertone Abs abdominal belt is so light and invisible that you can even wear it under your wear: in office, for sports or at home while watching tv. Experiences with the Slendertone Abs abdominal belt show that optimal results can be achieved within the first four weeks with 5 electro-stimulation workouts per week. Then, three weekly workouts with the abdominal belt are sufficient. The Slendertone Abs abdominal belt offers 10 programs for electro-muscle stimulation - 7 of them are passive and do not require any motion of yourselves to achieve training effects; 3 of them of the Slendertone Abs abdominal belt are active and can be used while exercising for doing crunches even more effectively. The Slendertone Abs abdominal belt offers 150 intensity levels, so that the electro-muscle stimulator/abdominal belt is even useful for well-trained athletes. The intelligent training control memorizes your setting and increases automatically the intensity when you have achieved your training target. Reduce easily abdomen with the Slendertone Abs abdominal belt ! The use of the Slendertone Abs abdominal trainer is very easy. The electro-stimulation workout is controlled by a multi-functional control element. The manual control of the Slendertone Abs abdominal belt has an automatic device detection and works with some other Slendertone electro-muscle stimulation instruments. The main control memorizes the workouts already done with the Slendertone Abs abdominal belt and displays them at the touch of a button. You are always up-to-date regarding yuor training progress with the abdominal belt of Slendertone. Slendertone electrodes for abdominal belts In stock!